Breakfast - Rainbow Restaurant & Diner - Best Homemade Food in New Berlin, WI! a lot of potatoes each week! Almost every day! First we fill a giant pot full of raw potatoes and boil them. We then peel and let them cool. 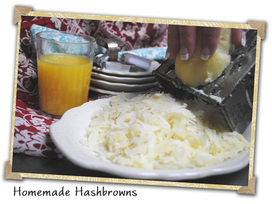 To make our hash browns, we grate them by hand. For American fries, we simply slice them. We fry them up with a little oil and seasoning only when you order them. 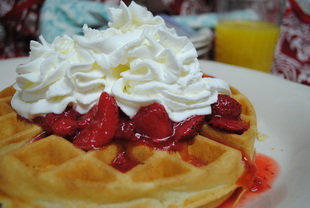 Check out our Breakfast Menu! 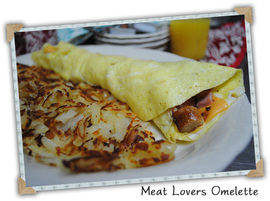 Omelettes Our omelettes are the most popular item on our menu. The eggs are fluffy and the ingredients are perfectly cooked. Come in and try our new best seller: The Reuben omelette. Made with our very own slow cooked corned beef brisket, sauerkraut and swiss cheese. See our entire selection on our menu.